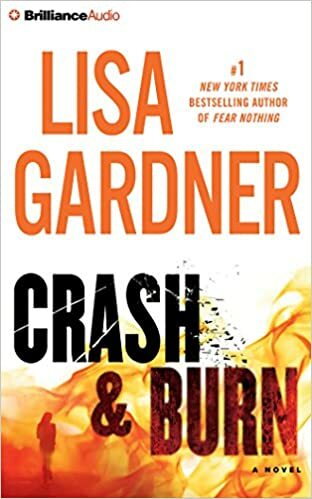 The story in Lisa Gardner’s novel, Crash & Burn, centres around Nicole Frank – a young woman who should not have survived a car accident, nor crawled up a steep ravine to get help. Her one thought is to save Vero and it is that thought that pushes her through the pain. At the scene of the aaccident, Sergeant Wyatt Foster joins in the desperate hunt for Vero, the missing child, only to learn that Nicky suffers from a rare brain injury that causes delusions. According to her husband, there is no child – and never has been. For Wyatt and investigator Tessa Leoni, nothing about this case is simple as they dig deeper and discover things that have been hidden for years. This story drew me in from the first line (“I died once.”), and kept me glued to the pages throughout. (Head on over to my teaser to read more.) The story does not unravel as one would think: unexpected twists occur which convince the reader that not is all as it seems. Even until the lasts chapter, I was unsure of how the story might end. The believable characters in this story keep the reader enthralled and interested in the storyline. I found myself wishing that all would go well with Nicole Frank even though it seemed obvious that it would not. This novel was the perfect story for me to read on a day of relaxation as I would have struggled to put it aside. The unexpected twists and turns, the empathy I felt for the characters, and the story that kept me engrossed have all convinced me that I should read another of Gardner’s tales. Have you read any of Lisa Gardner’s novels? If so, which ones? You won’t regret delving into the turns and twists Sonel. A terrific review, Colline. I’m so glad you had a book you enjoyed so much on your “free” day. Tell me about it. Between my physical books that are overtaking my home office and my ebooks that threaten to blow up my reader, I will never live long enough to read them all. And my Amazon wish list is ridiculously long. LOL.